Sometimes good decent ladies are left unmarried very late in life. Some group of women find themselves suffering from constant relationship break up, not having any man to propose to them, their husband dying prior to their marriage or wedding, a man that enters into relationship with them suddenly gets broke and bankrupt that he can no longer continue with the marriage, and so on. 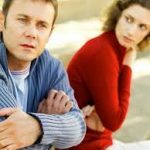 We have provided in this article some spiritual causes of late marriage to enable you break away from the curse if you are suffering from the fate. Some people face immediate hard luck of all forms immediately something good is about to come their way. The major spiritual cause of late marriage and why men and women marry late is usually due to some kind of curse or the other. In this instance, the cause is not directly self imposed or communally imposed but are due to unseen forces beyond your human control. To resolve these forms of spiritual causes of late marriage, you need to first of all track down the causes and start working on it spiritually. You can’t get away from these causes by physical means no matter how clever you are or how hard you try. You need to really pray, pray and pray again to finally liberate yourself from the curse. Curse is one of the main spiritual causes of late marriage. If you are under a cause, no matter how good you are or how hard you try; you will never break the yoke until you are delivered from the curse that is holding you backward. Due to this particular issue, you see a lot of handsome men and beautiful women deprived of full life till the later stage of their lives. 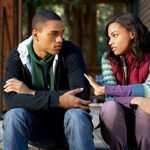 The spiritual causes of late marriage that may be tying you down could be one directional or multidimensional. If it is one dimensional, you need to tackle the one dimension but when there are many factors that are to be blamed, ensure you handle and take care of those factors one by one. Usually, a word or words of evil are invoked upon you through the use of some mysterious or satanic powers. These causes can come from different sources and be of different types. The majority of times, late marriage curses come from within the family circle. Both of your parents or one of your parents may for one reason or the other place a curse on you that you are not going to be married and still pretend over it. Don’t be surprise; it is a reality that happens every day. After all, the Bible made it very clear that your greatest enemy is the member of your household. Jesus again made it clear he said I have not come to bring peace but to bring enmity between father, and mother, children etc. So, it is nothing to be surprised about, it is a reality that many have to battle with on a day to day basis. Your success in life mostly depends on the family you come from and how truly they wish you well. Other external factors may affect you but they are usually easier to handle than that which emanates from your family. There are other forms of curses that may fall into spiritual causes late marriage like family or ancestral curse. This type of curse is hereditary and is blood-related. You can be affected by this type of cause by joining wrong organizations like cultism, witchcraftism, bad friends or engaging in wrong practices like homosexualism and lesbianism acts. Your marriage can be delayed if you belong to these evil groups and make covenant with them. They may be the spiritual causes of late marriage that is holding your marital blessings and favors. You can also be suffering from self inflicted curses. You may impose a curse on yourself by swearing erroneously when you are in difficult situations and that may be why you have not married. You may also be suffering from leadership curses from people who are senior and more highly placed than you are like your leaders, bosses, husband, teachers and so on. You may also be caged by visionary or divine curses. You can suffer from prophetic curse when a servant of God place a curse on you for any reason and from divine curse when you have attracted God’s curse by living contrary to his divine decree. Just as mentioned above, the only true and lasting way to free yourself from this type of curse and spiritual causes of late marriage is to humbly go before God in prayer. Prayer of a good man pieces the cloud the Bible says. If the fault is from you, you have to let go of what is holding you back. Go to God for forgiveness and pray that he should deliver you and reinstate you to your original position. He’d make your story of late marriage occasioned by evil forces end sooner instead of later.